We're Awakening! : Switchfoot cops 53rd Grammy Award Nomination! The Grammy Award announcements are in, and Switchfoot has been nominated for Best Rock or Rap Gospel Album for "Hello Hurricane!" This is the second time they have been nominated for a Grammy, and the first time since "Learning to Breathe" received the same honor back in 2001. HUGE congratulations to the guys! It has truly been a fantastic year for Switchfoot, and hopefully it can be capped with the band's first Grammy Award. 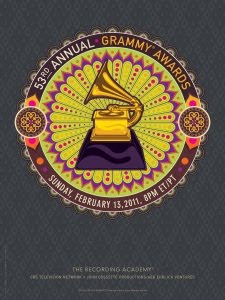 For a complete list of Grammy nominees, head over to the official website. YESS! :O! This is A-M-A-Z-I-N-G! How Amazing? Amazing enough that I took the time to put hyphens between each capitalized letter. Congrats, Jon, Romey, Chad, Tim, and Drew! @Ender it is truly awesome!